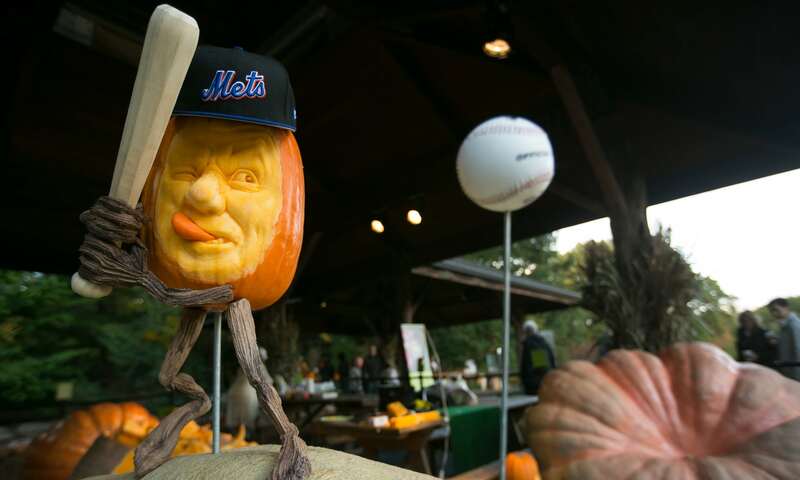 Ray Villafane at NYBG 2015 - Zombie Pumpkins! Made my annual trip to see Ray Villafane today at New York Botanical Garden. Great time as always! Ray working on a Mets pumpkin that they gave away to whoever guessed the correct amount of pumpkins in a bin. Ray's big project almost completed for Dia de los Muertos. Ray with my daughter! After I took this picture I noticed Ray staring at my Zombie Pumpkins shirt (the pumpkins of the decayed one). He thought it was great and asked me if it was my company. I then explained who Ryan was and the whole website, patterns, and whatnot and seemed impressed. We chatted another minute or so and then he was back to work but if he wasn't aware of zombie pumpkins before he is now! Ray posted here back in 2008 (wow, has it been a decade already?) and I've traded a couple private messages with him in the past. 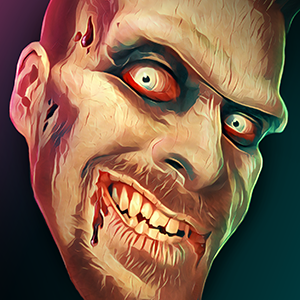 I'd like to think he has the Zombie Pumpkins name wedged somewhere in the back of his mind. We gourd artists need to stick together. He shares a lot of great photos on social media... pumpkins sculpts (and similar food like potatoes and squash) as well as his sand sculpture. But it's cool to see some candid first hand photos like you've shared, Killed by Death. I love that Dia de los Muertos sculpture. 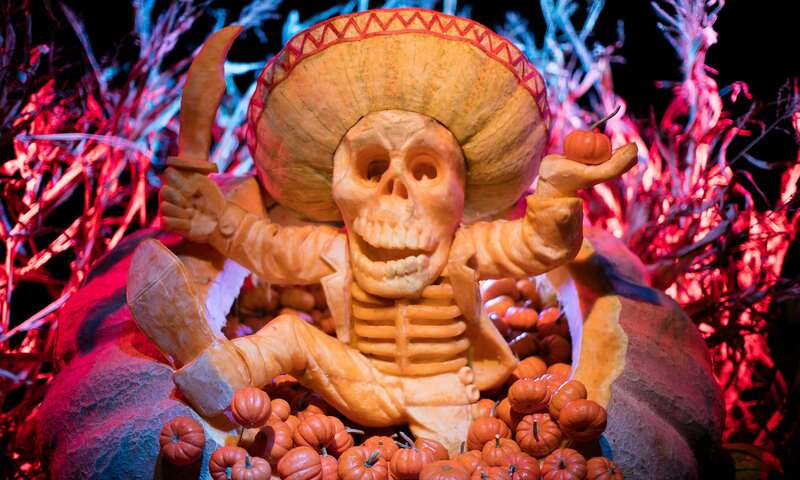 Who knew that a pumpkin would make such a perfect sombrero? Here are a couple photos of the finished carvings from this 2015 event, compliments of photographer Ben Hider for The Guardian.